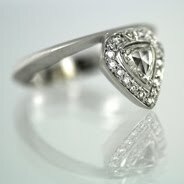 Vicente Agor Precious Jewelry: the story of ferdinand. 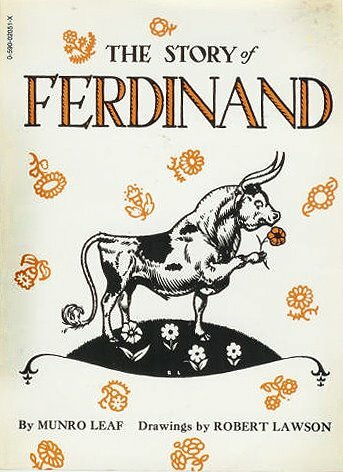 The Story of Ferdinand by Munro Leaf (with illustrations by Robert Lawson) is one of my favorite childhood books. Even though it was first published in 1936, this sweet story of a bull who enjoys the simplicity of sitting in a peaceful pasture still holds a relevant lesson for children of all ages today … especially given the frenetic nature of our modern times. Amazingly, this book is Michael’s favorite too. Michael is my wonderful business/partner and we both have a copy of this book from our childhood. Although I am sure we can share, I gladly acquiesce the “fave” designation to him because like Ferdinand, he will stop and take the time ... to smell a flower. As a result, he is the one that continues to teach me to take the moment and enjoy the clarity that nature provides. And so this bud's for you Michael. Happy Birthday! Image: A scan of a personal book complete with lovingly worn and well-read yellowed pages along with some smudges from a child’s sweaty grip on its beloved spine.